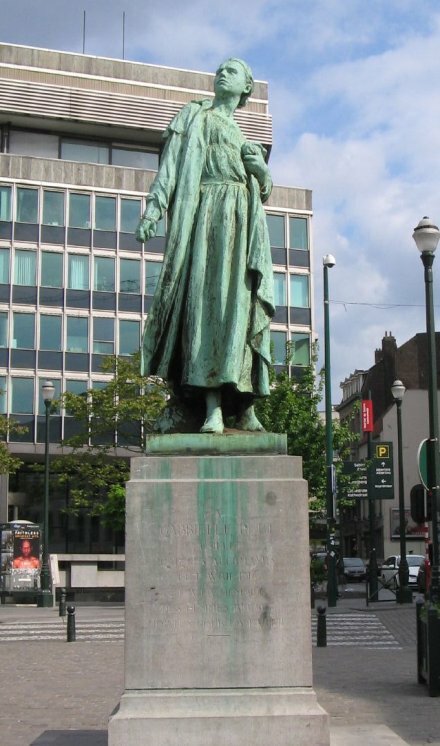 On this date in 1916, German forces occupying Belgium shot Gabrielle Petit at Schaarbeek for espionage. Petit, orphaned as a child, was a 21-year-old Brussels saleswoman and governess when the First World War began. In 1914, she helped her wounded fiance, soldier Maurice Gobert, cross the front lines into the Netherlands to rejoin his unit. This was already a no-no — just the thing, in fact, that would soon get British nurse Edith Cavell shot by the Hun. But Petit went way beyond into outright espionage. Having impressed British officers upon her successful delivery of Maurice by relating everything she could remember about the German army’s disposition, she got a crash course in spycraft and returned back over the lines. For a year and a half, she continued funneling information about troop movements as well as distributing the then-underground (but today still-extant) newspaper La Libre Belgique. Captured in February 1916, she refused to trade her life for the identity of any other operative, and was shot for spying. 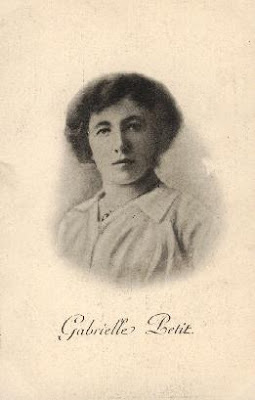 Although Gabrielle Petit didn’t get anything like Nurse Cavell’s wartime propaganda play, her story became well-known after the Armistice and resulted in a state funeral, various films and books, and a monument in Brussels’ Place Saint-Jean.